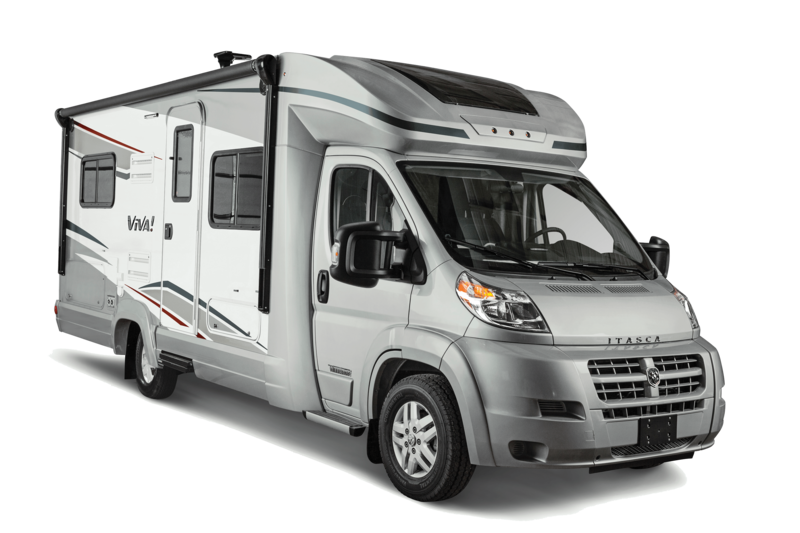 The Itasca Viva is a spunky and fuel-efficient RV that is great for long journeys or the weekend getaway. Popular features include LED lighting, Ultraleather furniture, available StudioLoft bed and three point seat belts in the dinette area. Other industry leading features include powered patio awning, rearview monitoring system, swivel cab seats and MCD blackout roller shades. Viva packs value and comfort into an affordable class C RV.